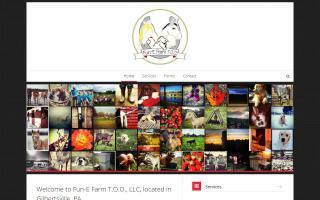 Mountain Pleasure Horse Farms and Stallions Directory - O Horse! Van Bert Farms is owned by the Derickson family, which is the fifth generation to operate the establishment which breeds and sells Rocky Mountain Horses, Kentucky Mountain Horses, Mountain Pleasure Horses, and Pleasure Walking Horses. Van Bert Farms consists of over 400 acres near the quaint little town of Stanton, Kentucky. Van Bert Farms has been operating as a Kentucky horse farm and equine training facility since 1965. The farm is encircled by the Red River and the picturesque Appalachian Foothills, making this part of the beautiful Red River Valley. Because of the beauty of this area, many natural sites attract visitors from all over the world. More than 200 natural bridges are found in this part of Kentucky. Natural Bridge State Park is within 15 miles of our farm and is famous for the largest natural arch. It also offers miles of hiking trails, camp sites, and fishing. The Red River Gorge is a main attraction to visitors of our state. We are a small farm in central Arkansas with foundation Rocky Mountain, Kentucky Mountain & Mountain Pleasure horses for trail riding or show. Our stallion is RMHA, KMSHA, MPHA & AGMH registered and smokey black with no red gene. If you are looking for quality, affordably priced horses, come visit us first.